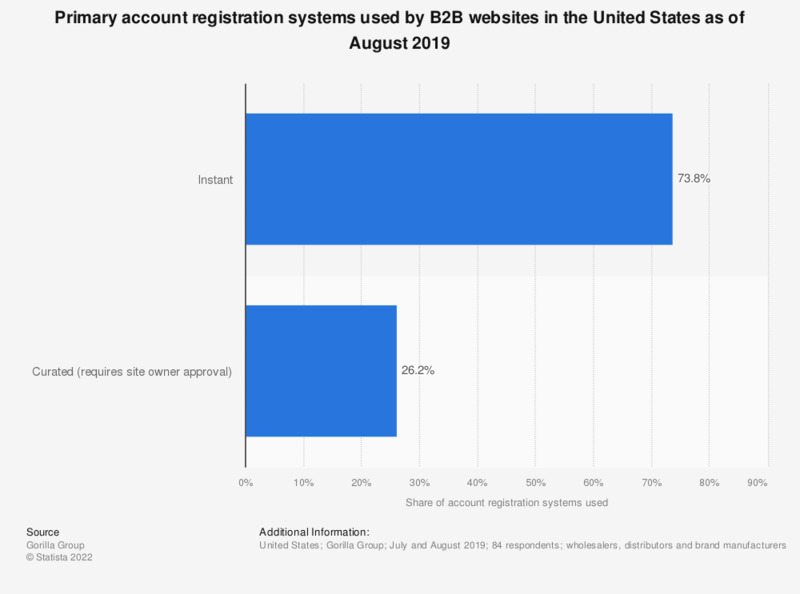 This statistic displays the most common primary account registration systems used by B2B websites in the United States as of July 2017. According to the findings, 71.8 percent of B2B websites reported to utilizing instant account registration systems as their primary method. In comparison, almost a quarter of websites stated their primary account registration system was designed around curated use, requiring the site owner's approval.